Jamie Redknapp insists he isn’t concerned by Liverpool’s recent woes in front of goal and believes things will begin to turn around for the Reds. 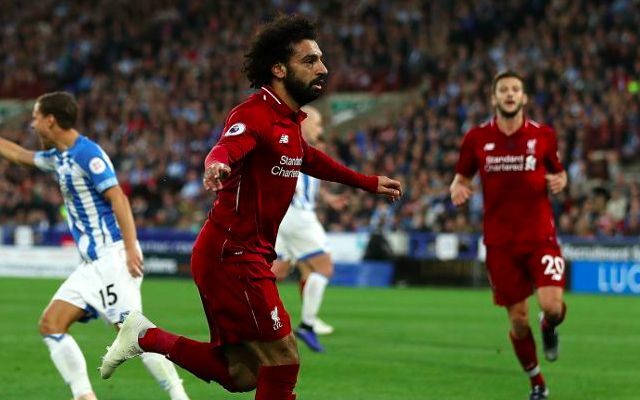 Jurgen Klopp’s men extended their unbeaten start to the season with Saturday’s 1-0 win over Huddersfield and moved to joint-top of the Premier League table with Manchester City. Despite another three points, Liverpool again disappointed in the final-third and were fortunate not to have been punished for a familiar wastefulness in front of goal. It’s for their lack of conviction, however, that Redknapp is upbeat about their title credentials, with the Sky Sports pundit anticipating a menacing change in fortune. “It doesn’t worry me that Liverpool’s front line are struggling to fire,” he wrote in his column for the Daily Mail. On the back of such a frighteningly-prolific 2017/2018 campaign, the current wave of missed opportunities has to be perceived as an ominous warning to the rest of the division. A slow start to the season up top has opened the stage for Liverpool’s defence to showcase vast improvement and set an all-time club record of having conceded just three goals across their opening nine league games. Winning ugly is a trait Liverpool are finally beginning to add to their arsenal after years after of having to out-score opponents in light of their defensive frailties. Sooner or late, this front three will rediscover the same explosiveness and cohesion that saw the Reds gloat one of Europe’s deadliest attacking forces last season.